A fleet-footed firefighter will attempt a third successive victory in a fellrunning challenge. Cumbrian runner Ricky Lightfoot will look to nail a hat-trick of wins in the Three Peaks Race, dubbed the ‘marathon with mountains’. The Maryport-based Salomon International team member will join the field this coming weekend for the 62nd annual race, run over Pen-y-ghent, Whernside and Ingleborough. And Jasmin Paris, who posted a record breaking women’s time for the Bob Graham Round at the weekend, is expected to challenge hard for the women’s title. She will be up against fancied Nepalese runner Mira Rai, 27, undertaking her first Three Peaks Race. 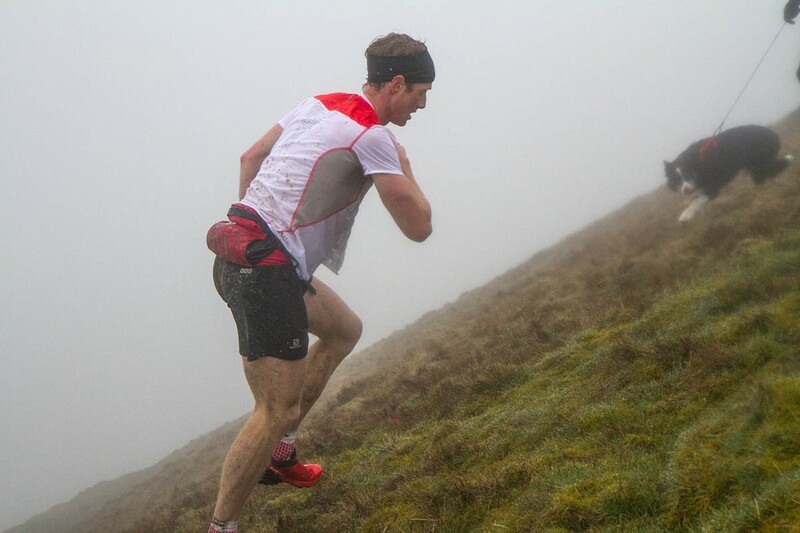 If conditions in the Yorkshire Dales are perfect and Lightfoot is at the top of his form, he has the chance to claim the £500 bonus prize on offer for the fellrunner who finishes in under 2hrs 46mins 3secs. Last year came he came the closest anyone has been to Bingley Harriers’ runner Andy Peace’s 1996 record with 2hrs 51mins 42secs – knocking 1min 34secs off his 2014 time. In 2015 there had been heavy overnight rain and conditions were far from ideal for the 37km (23-mile) route, But Lightfoot knows that he faces tough competition. Salomon teammate Tom Owens, who won the event in 2011 in 2hrs 53mins 34secs, and Jethro Lennox, from Shettlestone Harriers, who set 2hrs 53mins 39secs to win in 2008, are among his rivals. A £500 record bonus prize is also on offer to the female runner who can beat 3hrs 14mins 43secs set by Czech runner Anna Pichrtova when the Three Peaks hosted the World Mountain Running Challenge in 2008. Rai, of Bholpur, has an impressive record as first female finisher. She grew up in a remote village, using rough trails to collect food for animals and wood for cooking. The nearest water was 30 minutes downhill. Her victories include the 50k race at the Himalayan Outdoor Festival in 2014 and 2015, the 2015 Mont Blanc 80k race where she set a new record, the North Face Kathmandu Ultra in 2015, the Asia Skyrunning Championship in Sai Kung and the Italian Skyrunning Championship in the Dolomites where she completed the 56.9k with 3,700m of ascent and decent in 6hrs 36mins 30secs. But year after year local knowledge has proved to be the key to running over the Three Peaks’ slippery limestone. 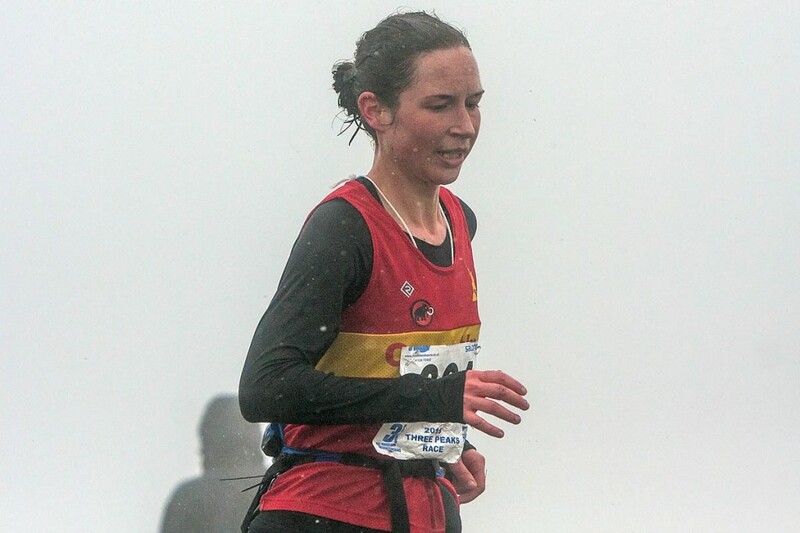 As well as Carnethy Hill Running Club member Jasmin Paris, UK female runners to watch include Helen Bonsor, of Carnethy Hill Running Club, who was first woman home last year, and the England fellrunning champion and former Great Britain champion Victoria Wilkinson of Bingley Harriers, who was first in 2014, and Shona Robertson, of Shettlestone Harriers, second in 2014. Running shoe brand Inov 8 has joined Three Peaks’ sponsors Pete Bland Sports and Hanson UK, part of the Heidelberg Cement Group, for the 62nd race. James McKay, Inov 8’s global product director, will be among runners from as far away the United States and Switzerland. 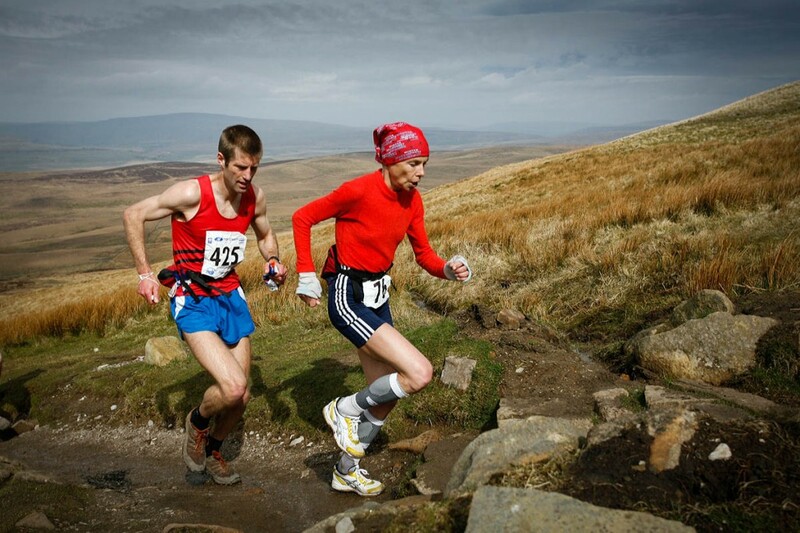 The Three Peaks Race starts in Horton in Ribblesdale at 10.30am on Saturday, 30 April. First runners should be on Pen-y-ghent summit from 10.55am. Leaders should reach Ribblehead at 11.40am, Whernside summit from12.10pm, Hill Inn at 12.25pm and Ingleborough summit from 12.50pm. Leaders are expected back at Horton from 1.15pm. Parking is restricted at Ribblehead and the Hill Inn, Chapel-le-Dale.